Grease 7" tray with butter and lined with biscuits to form the tart base. Pressed it down firmly with the back of a spoon. Refrigerate for about an hour. This Mother's Day, say it with Black Gold! Many Asian old folks do not have sweet tooth and aren't really into cakes. 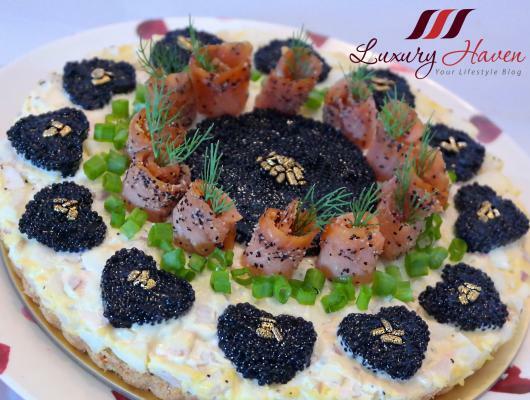 So why not make her a savoury tart instead, filled with Caviar?